As someone once said, English is a Must – German a Plus! There has never been a better time to learn German than now! Do join us for our 2-Week Intensive German Classes that start tomorrow evening, August 7, 2017, 6:30 – 8:00 p.m., at the American Red Cross Building, 2700 Southwest Freeway, Houston, TX 77098. They are held every evening from Monday through Friday for the next two weeks until August 18, 2017. We still have some spots open for absolute beginners, level A1.1, advanced beginners, A1.2, and quite fluent speakers, level B2/C1, and you still can register. 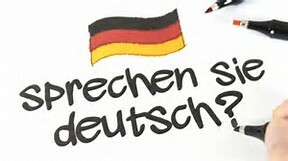 You can find information about the classes here: http://germansouthwest.org/adult-language-courses/, and for registration, please click here: http://germansouthwest.org/language-school/adult-course-registration/.